Downton Abbey fans rejoice! Season four is right around the corner. (January 5th 2014 in the U.S.) You can celebrate the series by hosting your own Downton Abbey Tea Party. Here are a few suggestions but be sure to leave comments and share your own plans (because I know many of you are already getting ready) ! Season 4 of Downton takes place in the early 1920’s (specifically 1922-1923). This was the era of worldwide recovery. The first world war was over and the youth who survived were ready to let their hair down, throw off tradition and change the world. The easiest way to develop a tea party theme is to research the era in which your event happened. 2. The Irish War of Independence ends in a bloody battle the day after the Irish Elections. (remember one of the main characters in the show is Irish.) This ongoing struggle continues for many years and results in a great loss of life. 3. The British Broadcasting Service begins radio services in the U.K. Touching the world is now as close as turning a dial on a new fangled radio. 4. Early 1922 is plagued by the flu epidemic claiming over 800 lives and terrifying the nation. 5. In 1923 the Equal Rights act enables women as well as men to initiate divorce. This opens the door for women to divorce their adulterous husbands for the first time in history. Another sign that the times are a changing. 6. King Tut’s Tomb is unsealed and Britain is crazy about everything Egyptian! 7. In 1923 it becomes illegal to sell alcohol to minors under 18. 8. The new Prime Minister, Stanley Baldwin, takes office. The story line of the series connects all walks of life into one cohesive story. Your guests may be interested to learn “inside secrets” regarding the world of Downton. You can find a variety of trivia and games online. Here are a few resources we think you might enjoy. And if you REALLY can’t get enough of your favorite show and want to enjoy it all again, the full series is available on Amazon ! Win your guests over by preparing an authentic Downton Abbey menu. Food is always a center focus of the Program. Win your guests over by preparing an authentic Downton Abbey menu. May I suggest using the Ultimate Abbey Cooks Online resource. This website has everything you need to know about Tea Party tradition along with historically correct recipes. 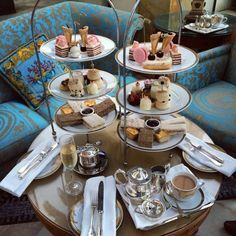 And what about tea? I recommend using a hearty black tea that will stand up to the taste of every food. British Bliss Tea is available on Amazon and I highly recommend it for any Downton Abbey menu. The hearty taste of Keemun Loose Leaf Black Tea will pair well with both sweet and savory dishes. 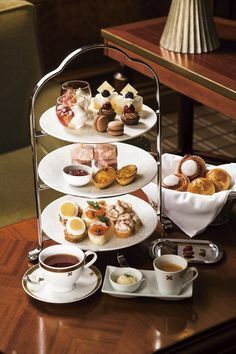 The goal of every Downton Abbey Tea Party is to enjoy your common interest, discuss the great costumes, story lines and food and then depart with a little something special. Pinterest is a veritable goldmine for party ideas. Here are a couple of my favorite boards. In addition Etsy has alot of wonderful printables which could be used for party favors. Here is a whole page of Downton Abbey tools, toys and gift ideas. Downton is all about looking fabulous! Invite your guests to come dressed in their favorite ode to Downton. This can be a full ensemble or a simple hat or headpiece. Offer a prize for the best hat, best dress and most creative use of the Downton Abbey theme. You will be amazed at the creativity of your guests. 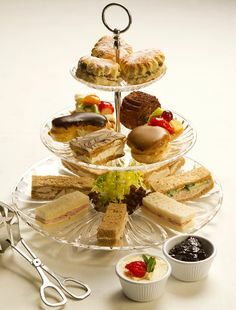 Tea Party Girl Asks: What are your Downton Abbey Tea Party Plans? Share them below in our comment box or join in the conversation on Facebook. I’ll be hosting a Downton Abbey Tea at my business. It should be a good time for all. Menu is set and a lot are in search of costumes. You have been getting some good press. I saw the newspaper release as #1 on several of the downton abbey searches that I did. CONGRATS. Thanks for catching that techy issue. Got it fixed now.